Home Uncategorized CALIFORNIA FIRESTORMS: Who’s geoengineering the statewide conflagration and why? wildfires over the decades, especially when the Santa Ana winds are blowing. There’s no question that Planet Earth has experienced an inordinate number of heat waves this year, but that’s exactly how the geoengineers work. In order to frame these terror events as false flag operations, the perps piggyback on the natural disaster trend of the year. That trend for 2018 has taken the form of wildfires which can appear initially as forest fires, brush fires and/or grass fires. 2018 has seen another very disturbing pattern of arson fires that were carefully camouflaged as accidents when they clearly were not. The arsonists can be an individual on the ground with a portable flamethrower, a laser-equipped drone in the sky, a satellite-based DEW, or all three. The following report delineates some of those arson fires that were started as a part of Operation Gladio’s 2018 terror operations throughout Europe. Were one to conduct a thorough comparative analysis, 2018 would surely go down in history as the “Year of the Pyromaniac”. Only the pyromaniac is not some kid out in the woods with matches. In this case, the firebug is a covert arm of NATO (sometimes known as the North Atlantic Terrorist Organization) that goes by the apt name—Operation Gladio. The truth be told, NATO has been behind most acts of state-sponsored terrorism continuously since the end of World War II. There are very specific reasons why so much calamity happens in the Golden State. The three primary ones are Hollywood, Silicon Valley and the Military-Industrial Complex (MIC). When the globalists want to send a message to the world — “loud and clear” or subliminally — the California stentors are often the messengers. The Motion Picture Industry provides a particularly powerful medium to both captivate and impress the people, as does TV production. Likewise, much of what we see on the Internet these days is brought to you by the Sultans of Silicon Valley. KEY POINT: The major social media platforms have been especially effective at shaping the public discourse on the Internet. The Global Warming meme is kept alive and well via all the major social network utilities. Likewise, Hollywood does not miss a single opportunity to advocate the same cause in many movie and TV productions. More to the point, California has always played an integral role in the social engineering of the American people, as it does the global population. The mainstream media (MSM) is now controlled by many of the biggest IT and social media companies that are headquartered in the Valley. Hence, whoever controls the media controls the message. In the instant case, the key message pertains to Global Warming. Just like other HUGE hoaxes perpetrated against humanity, the Global Warming hoax is central to a furtive scheme to form a One World Government. In fact, the primary goal of the New World Order agenda is to foist a global government on the entire planetary civilization. The NWO cabal has determined that the best way to meet this objective is to fabricate a universal boogeyman such as an Extinction Level Event by way of a worldwide environmental Armageddon scenario. The primary way that the Global Warming hoax is still believed by so many is through the constant geoengineering of catastrophic weather events, so-called natural disasters that are linked to warming, and other mishaps that cause environmental devastation. Through the absolute control of all the major MSM organs of propaganda, the citizenry is continually overwhelmed with misinformation, disinformation and false information that feed this vital NWO meme. Everything about this ongoing conspiracy to support the fake Global Warming narrative is geoengineered from beginning to end. Of course, there’s no better place than California to stage a dramatic hoax of such magnitude since the C.I.A. actually owns and operates all of Hollywood… as it completely controls Silicon Valley…as well as the statewide MIC. 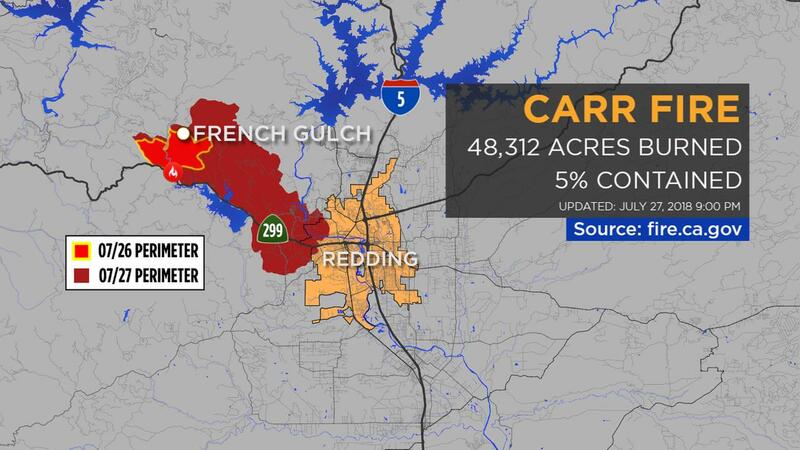 See how the Carr Fire literally exploded over the course of one day. What follows is the current July map of fires that plagues the Golden State as it is slowly charred and blackened. This interactive map provides updated fire conditions by the day and can be a good resource for those navigating in and around or through the state. 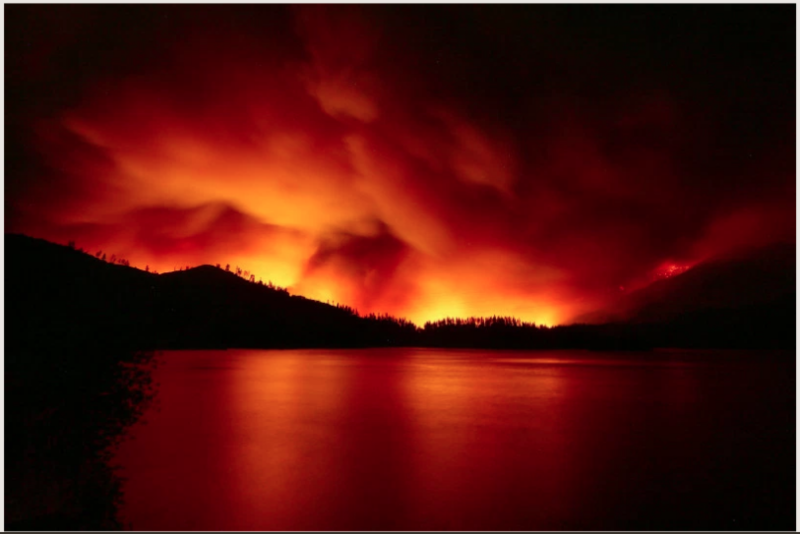 Nothing scares people away from the land like wildfires. Even when the brush or trees grow back, the same situation can occur all over again. It all depends on who’s starting the fires and why. It really depends on “location, location, location” according to the various UN and PPP agendas such as Vision2050. As they say, whoever controls the weather effectively controls the world. 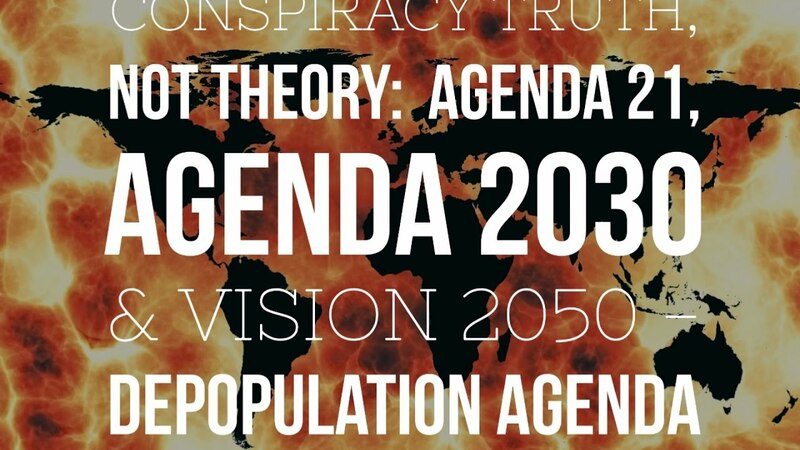 If anyone really wants to get to the bottom of many of these fires, they need look no further than the UN agendas—Agenda 21 and 2030 Agenda for Sustainable Development. Both of these global programs were conceived as a way to move people off the lands that the power elite covet. There are actually many reasons why certain swaths of land and geographic areas are so highly valued. When there are corporate interests involved, the motives may be purely economic and/or financial. Oftentimes they may proceed in an ultra-capitalistic manner that can be highly predatory in nature (i.e. scare the people off their property via enviro terrorism). When a consortium advocacy is made up of seemingly benign enviro NGOs, they are usually acting on behalf of the wealthy elite. Sometimes it’s a group of billionaires, other times it’s an international crime syndicate. The essential point is that so much governmental corruption and private sector criminality now occur under the rubric of Agenda 21 and 2030 Agenda for Sustainable Development. A more recent example of the highly organized collusion between U.S. Federal Government and Corporate America and NGOs (non-governmental organizations) are the rapidly evolving Public Private Partnerships. At the current rate of ‘development’, it’s only a matter of time before what’s left of the planetary landscape, seascape and airscape is totally controlled by these Public Private Partnerships. Why was California chosen to be the epicenter for so much environmental terrorism? That the NWO globalists literally own and operate the Golden State is without dispute. The cabal even made sure super-loyal globalist and Jesuit-trained Jerry Brown was in the California’s Governor’s Mansion during this critical period of carrying out their New World Order agenda. This governor doesn’t, in any way, work for the people of California; rather, he works hard to implement every single UN program in sight. That’s why the state is such an overwhelming mess starting with the illegally open borders. What else could be expected from such a deliberately set-up political predicament overseen by a supranational body like the UN? When you add to the mix the annual wildfires crisscrossing the state, the forever alternating droughts and deluges, the endless mudslides and sinkholes, the constant threat of earthquakes like THE BIG ONE, monstrous methane gas leaks like Aliso Canyon, spillway failures like the one at like Oroville Dam, nuclear waste disasters such as San Onofre Nuclear Generating Station, etc, etc., etc. You get the picture! California was actually set up to be a never-ending disaster movie … for the entire world to watch. In this fashion, much of the world’s attention is riveted on the state and, therefore, always receiving various messages through the mainstream media. Unfortunately, most of those messages are advancing the UN agendas without many folks ever knowing about it. The following video exposé presents irrefutable proof of the high-powered laser weaponry used to trigger some of the 2017 California fires, as well as to inflict extraordinary damage never seen before. 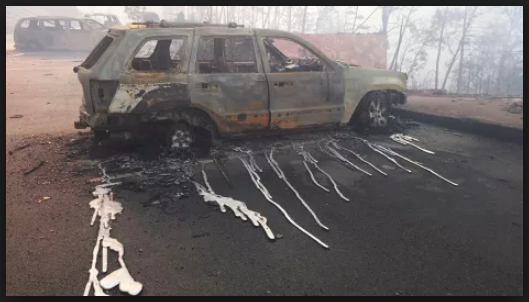 How, after all, are hub caps melted in the street by a fire that does not even burn the trees and buildings a few feet away from the vehicles?! Likewise, how are laser-like bore holes showing up in the car hoods and in other metal components? 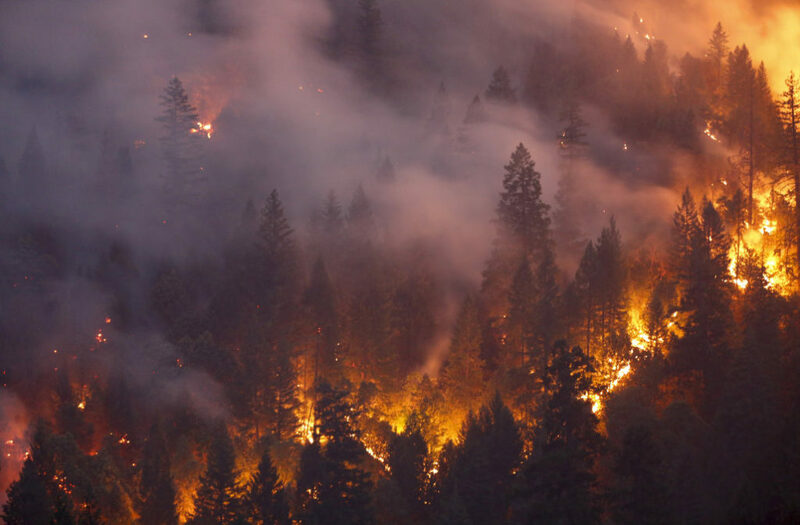 The aftermath of the California fires, both now and then, actually provide so much evidence of chemical geoengineering, directed energy weaponry, and arson activity that the CA state government must be a co-conspirator. To effectively cover up these environmental terror events requires an enormously coordinated effort between the military perps, government officials and mainstream media. The delivery systems for these various weapons range from prepositioned low-level satellites, helicopters camouflaged as firefighting efforts, highly sophisticated DEW drones and state vehicles equipped with DEW technology. Gladio black ops of this nature basically have access to the most advanced weaponry in the DEW arsenal because NATO basically controls the U.S. military. Hence, acts of environmental terrorism carried out on American soil by Operation Gladio are immune from investigation and/or prosecution. When carried out in this manner, the U.S. Federal Government also enjoys “plausible deniability” should the plots be exposed. Once they perfected their weather weaponry, the geoengineers couldn’t resist the temptation to experiment with it. Acting on orders from their NWO masters, they’ve actually been waging weather warfare against humanity since the end of World War II. Many of the weather weapons were originally invented and developed in California as there are many secret military testing labs around the state. Some of these weather weapon laboratories work with the different universities such as California Polytech and Stanford, UCLA and USC. Not only do the geoengineers conduct massive chemical geoegineering operations all over North America whenever they want to, they also have access to numerous satellite-based, land-based and sea-based HAARP technologies. Chemtrails and chembombs have become ubiquitous sky features everywhere these days. 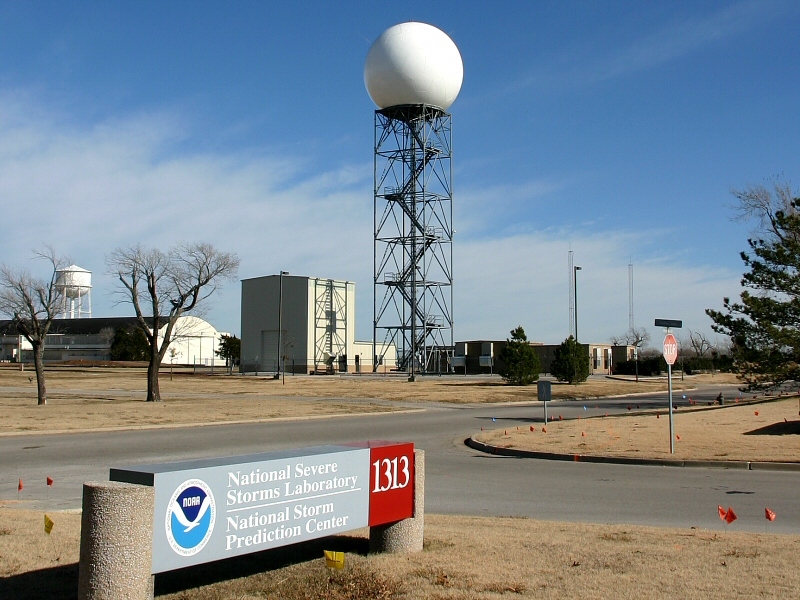 When these are used in tandem with NEXRAD’s Dopplar radar stations and power plant water vapor generators, the geoengineers are able to manipulate weather patterns at will. Welcome to weaponized Global Climate Change! While one state is experiencing deluge after deluge, another state might be experiencing a 500 year drought. Moisture is often pulled from one geographic area and stationed over another. This is why so much of the USA has been tormented by such wide weather extremes for many years. The geoengineers are constantly experimenting on US and trying out new techniques. Some of these include technologies so advanced they have never been revealed to any party outside of those who developed and utilize them. With the introduction of 5G throughout the fifty states, the potential to ramp up localized weather modification will increase considerably. The major metro areas, in particular, will find themselves under continuous assault by massive frequency generators. It’s not only the weather and seismic activity that are being manipulated, it’s also the unaware citizenry that is being assailed by specific electromagnetic frequencies designed for mass mind control. For at the end of the day, this is what the controllers truly seek—a completely controlled populace. Then, and only then, can the UN agendas become a worldwide reality. Therefore, it’s time for We the People to formulate an action plan post-haste. Next articleTHE MAINSTREAM MEDIA IS THE ENEMY OF THE PEOPLE!